Fingerprint biometric scanners might be a popular tool for law enforcement and securing smartphones, but it could also help improve vaccination rates in developing countries. Japanese tech firm NEC has developed what it claims is the world’s first fingerprint scanner that can be used to identify newborns and infants. The purpose of the technology, which was developed in conjunction with Anil Jain, a professor at Michigan State University, is to help track vaccination schedules for infants in developing countries where children often lack any official identification documents. The scanner may help healthcare providers in these areas identify babies and match them as they become older. As the company notes, infants’ small, soft fingers make it difficult to use standard fingerprint capture devices that are designed for an adult’s larger fingers and more well developed prints. Babies also tend to be fidgety and since the ridges and valleys of their fingerprint aren’t as defined, it’s difficult to take a clear image. The new device weighs 50 grams with casing that's 72mm long, 35mm wide, and 7.5mm thick with a tapered edge that’s supposed to make it more comfortable for both the child and the operator. It also features a 1,270 ppi high resolution CMOS image sensor and a glass plate for image enhancement. Using a prototype made by NEC, Jain ran field trials with a prototype in India where it was used to capture fingerprint images of over 300 children. More than 100 of them were younger than six months old. Jain and fellow researchers were responsible for developing a neural network that has improved the quality of fingerprint scans as well as recognition and matching. Those machine-learning algorithms allowed him identify with 99 percent accuracy infants who were first scanned at 6 months or older, while matching rates fell to 80 percent for babies scanned at four weeks. As Jain noted in a recent paper, one of the key problems in tracking vaccinations schedules and so preventing millions of deaths from vaccine-preventable diseases is that children don’t have any identification documents. Biometric identification at an earlier age could help address this. Other applications include identifying missing babies and preventing babies from being swapped in hospitals. India of course is home to the one of the world’s largest biometric databases thanks to the Aadhaar ID program, which collects iris and fingerprint scans of citizens. However, according to Jain, that system only captures fingerprints for children as young as five due to the limits of existing scanning and matching technology. Previous research put the lower age limit of possible capture at 2.5 years. 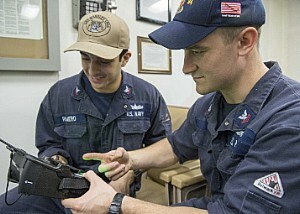 WASHINGTON (NNS) -- In 2015 Navy installations began transitioning to the Defense Biometric Identification System (DBIDS) to enhance base access control security. On April 17, the Navy began transitioning all vendors, contractors, sub-contractors, suppliers and service providers seeking base access who currently use or qualify for the Navy Commercial Access Control System (NCACS) from NCACS to DBIDS. The transition applies to installations in the continental United States, Hawaii and Guam. The transition that is currently underway from NCACS to DBIDS applies to all eligible vendors, contractors, sub-contractors, suppliers, and service providers. Those individuals with Department of Defense (DoD) approved sponsorship to conduct business with the Navy and/or tenant commands aboard a Navy installation, who are not eligible for a common access card (CAC) also may apply for a DBIDS card. Current NCACS cardholders will have until July 15 to obtain a DBIDS credential at the local base Visitor Control Center. NCACS cards will no longer be accepted after July 15. Contractors, sub-contractors, vendors and suppliers who do not have an NCACS card will have up to 180 days to obtain their DBIDS credential. For additional questions, please contact the local base Visitor Control Center. Defense Biometric Identification System (DBIDS) increases installation security and communications by receiving frequent database updates on changes to personnel/credential status, law enforcement warrants, lost/stolen cards, and force protection conditions. The system provides a continuous vetting anytime the DBIDS card is scanned at an installation entry point. Once your information is validated, a temporary DBIDS credential is provided. Your temporary credential will have an expiration date, prior to which you will need to obtain your permanent DBIDS credential (~ 90 days). For each additional U.S. Navy installation to which you need access, the first time you visit you only need to bring your DBIDS credential and statement of purpose for base access when arriving at the Visitor Control Center. The representative will enter base access authorization and then you may proceed to work. Present a letter or official document from my government sponsoring organization that provides the purpose for your access. Present valid identification, such as a passport or Real ID Act-compliant state driver's license. Present a completed copy of the SECNAV 5512/1 form to obtain your background check. Upon completion of the background check, the Visitor Control Center representative will complete the DBIDS enrollment process, which includes your photo, finger prints, base restrictions, and several other assessments; after all this is done, you will be provided with your new DBIDS credential. You may now proceed to work. Posted: Sun 9 Jul - 21:20 (2017) Post subject: CLOSE ENCOUNTERS OF THE TSA (PART 1) MEET FEMA'S "AIR CONTROL" / CLOSE ENCOUNTERS OF THE TSA (PART 2) "PEOPLE TARGETED" WHEN IS IT TO MUCH ? CLOSE ENCOUNTERS OF THE TSA (PART 1) MEET FEMA'S "AIR CONTROL"
CLOSE ENCOUNTERS OF THE TSA (PART 2) "PEOPLE TARGETED" WHEN IS IT TO MUCH ? An approach to machine learning inspired by the human brain is about to revolutionize street search. Even if the cop who pulls you over doesn’t recognize you, the body camera on his chest eventually just might. Device-maker Motorola will work with artificial intelligence software startup Neurala to build “real-time learning for a person of interest search” on products such as the Si500 body camera for police, the firm announced Monday. Italian-born neuroscientist and Neurala founder Massimiliano Versace has created patent-pending image recognition and machine learning technology. It’s similar to other machine learning methods but far more scalable, so a device carried by that cop on his shoulder can learn to recognize shapes and — potentially faces — as quickly and reliably as a much larger and more powerful computer. It works by mimicking the mammalian brain, rather than the way computers have worked traditionally. Versace’s research was funded, in part, by the Defense Advanced Research Projects Agency or DARPA under a program called SyNAPSE. In a 2010 paper for IEEE Spectrum, he describes the breakthrough. Basically, a tiny constellation of processors do the work of different parts of the brain — which is sometimes called neuromorphic computation — or “computation that can be divided up between hardware that processes like the body of a neuron and hardware that processes the way dendrites and axons do.” Versace’s research shows that AIs can learn in that environment using a lot less code. Decreasing the amount of code needed for image recognition means a lot less processing, which means smaller computers needing less power can accomplish these tasks. Eventually, you get to the point where a computer the size of a body camera can recognize an image that camera has been told to look for, or at least do a lot more of the “learning” required to make the match. “This can unlock new applications for public safety users. In the case of a missing child, imagine if the parent showed the child’s photo to a nearby police officer on patrol. The officer’s body-worn camera sees the photo, the AI engine ‘learns’ what the child looks like and deploys an engine to the body-worn cameras of nearby officers, quickly creating a team searching for the child,” Motorola Solutions Chief Technology Officer Paul Steinberg said in a press release. Neurala and Motorola hope to demonstrate the capability on a prototype device at some point. At least one Motorola competitor — Axon, formerly Taser — which also makes body cameras for cops, is also looking to integrate on-camera artificial intelligence into future products. Après avoir établi des listes de plusieurs milliers de personnes, allant de simples journalistes accrédités dans le Donbass aux membres actifs des bataillons de combattants et leur famille, le site ukrainien Mirotvorets, soi disant fermé, annonce la création du projet Separator, devant permettre le contrôle facial immédiat de toute personne, pour savoir s’il fait ou non parti de la liste des « ennemis » du pays. Le site Mirotvorets est la façade du Centre ukrainien du même nom, créé après le Maïdan, visant à la poursuite des « criminels et terroristes portant atteinte à la sécurité nationale ». C’est certainement pour cela que des personnes ne suivant pas la nouvelle ligne politique radicale, comme le journaliste O. Bouzina ou le député d’opposition O. Kalachnikov, furent assassinés après que leurs données personnelles et leurs photos furent mises en ligne. Chaque personne, où qu’elle se trouve, pourra comparer une photo faite par elle-même ou bien apparaissant dans les réseaux sociaux avec les milliers de données existantes sur le site pour déterminer si la personne qui se trouve en face d’elle est « maidano-compatible » ou bien ose s’opposer à l’idéologie Maïdan, mettant par la même en péril la sécurité nationale. Et quelle sera alors la réaction des fanatiques? La petite Bête qui monte, qui monte... également dans nos pays. Vic. Encartés, numérotés, immatriculés, tracés, géolocalisés, bancarisés, et bientôt numérisés ? Big Brother est à l’affut. Les derniers remparts de liberté risquent de tomber, dans l’indifférence quasi générale. « C’est pas grave, je n’ai rien à cacher » pense le mouton. La France a dévoilé la semaine dernière des plans pour construire une base d’identification unique et unifiée contenant les données biométriques des passeports et cartes d’identité de 60 millions de citoyens, selon un rapport d’Ars Technica UK. La mesure a été incontestée à l’Assemblée nationale française comme il a été annoncé un jour de fête nationale par décret du gouvernement. Le lieu de naissance de la personne. …. ainsi que les noms, nationalités, dates et lieux de naissance des parents. La base de données a pour but de faciliter l’obtention et le renouvellement des documents d’identité des citoyens et d’aider le gouvernement à lutter contre la fraude d’identité. C’est la deuxième tentative du gouvernement français pour développer une base de données biométriques massive et centralisée, suite aux efforts du gouvernement de droite de Nicolas Sarkozy en 2012 pour adopter une loi proposant une base de données similaire. Dans ce cas, le Conseil constitutionnel français a finalement mis fin à la loi pour des raisons que la portée de la base de données était trop large et que la police l’utiliserait finalement pour identifier des individus à partir de données biométriques. 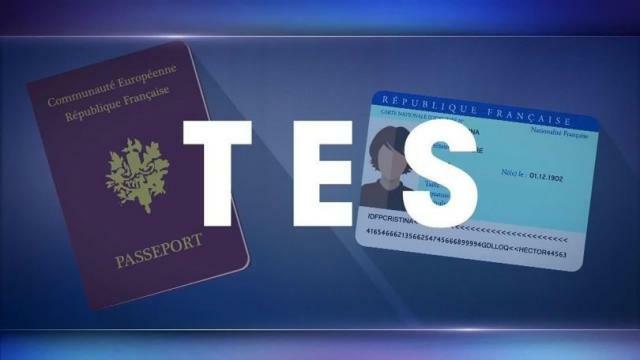 Le gouvernement français insiste sur le fait que la nouvelle base de données ne sera utilisée que pour authentifier des individus et non pour les identifier. En d’autres termes, la base de données sera utilisée pour vérifier que les gens sont ce qu’ils disent être, et non pour savoir la biométrie qui a été découverte sur les lieux d’un crime. Le ministre fédéral de l’Intérieur allemand, Thomas de Maizière, cherche à tester la vidéosurveillance dans les gares du pays, selon des documents récemment divulgués, cités dans un rapport de reconnaissance faciale sur Deutsche Welle. Panasonic’s facial recognition gate has been chosen by Japan’s Immigration Bureau of the Ministry of Justice to streamline immigration procedures at a major Japanese airport. With current technology, ethnic minorities and non-American travelers could find biometric identification to be much slower and prone to error. You’d be hard pressed to find a traveler who would describe getting through security at Los Angeles International Airport as an orderly or peaceful experience. Even when the threat level is deemed moderate, long lines, stringent security, and barking security agents are more or less the norm. But as of this week, the Transportation Security Administration is trying to streamline the experience, with an opt-in pilot program using biometric facial recognition technology, which is aimed at verifying and matching a passenger’s identity to their travel documents. It’s intended to automate the often repetitive and human error-prone process of verifying a passenger’s boarding pass and passport several times over before boarding. The pilot project is being run at the boarding gate—documents will also be manually checked during the test program to ensure no security lapses—in a partnership with British Airways, U.S. Customs and Border Protection, and LAX’s Tom Bradley International terminal. Whether you are a fan of Trump’s policies to tighten border security or not, there is certainly a case to be made that biometric boarding could eventually be a boon for all travelers who dislike what CAPA colorfully calls the “slow, mundane, intrusive, unfashionable and irritating” process of airport security. If implemented at its highest capability, passengers theoretically wouldn’t have to hold onto and flash their travel documents at multiple points throughout an airport visit. That could one day mean no more panicking that you’ve forgotten your passport or boarding pass—because your face would be all you need. In addition, costly snafus like All Nippon airway’s “flight to nowhere” in December—when the plane had to make a U-turn because it had inadvertently allowed a non-ticketed passenger to board—would be less likely. Indeed, data from air travel IT and communications firm SITA shows that passengers are generally a fan of technology-enabled travel, with 57 percent reporting they would use biometrics for their next trip. Thus, passenger satisfaction is often positioned as the reason for the technology. But there’s a huge caveat. 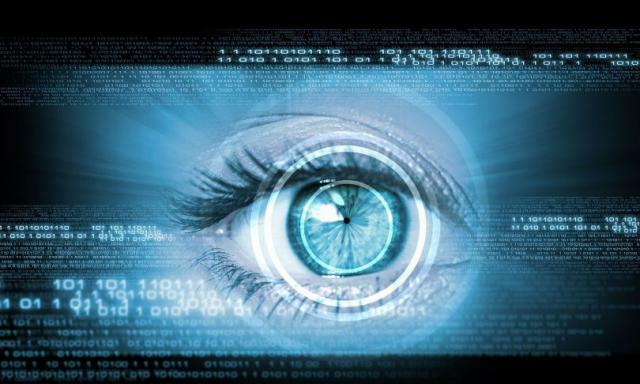 Where the technology currently stands, face recognition doesn’t work the same for everyone. 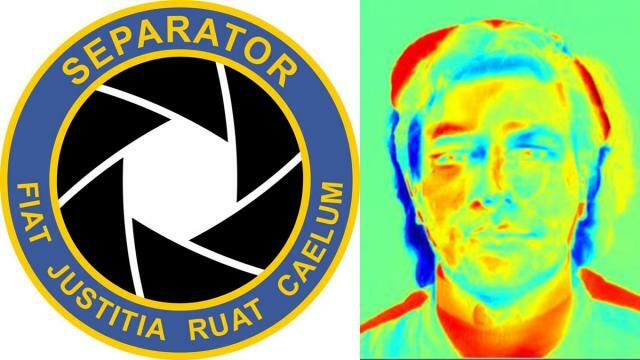 As CAPA noted, “face recognition software is not so good at identifying ethnic minorities when most of the subjects used in training the technology were from the majority group.” In addition, commonplace accessories or personal effects like hats, scarves, facial hair, long hair, heavy make-up or even low resolution images and poor lighting mean the current technology may perform inaccurately. Given those limitations, it’s not hard to imagine a whole host of ways that biometric security could make travel more seamless for one set of travelers, and an even larger headache for others. Whether it’s being asked to remove cultural dress such as head or face coverings, someone who’s undergone corrective or plastic surgery, or having an ID photo that’s not in CBP’s database, there are number of scenarios in which ethnic minority, non-American, or heavily ornamented travelers could find biometric boarding the opposite of seamless. The CBP reports that the technology is 97.5 percent accurate, and has aspirations to roll it out at all U.S. airports within four years. While the technology still has a way to go, the desired end point for some in the industry is for airport security to be able to focus on “finding bad people, not bad objects. Posted: Mon 19 Mar - 03:16 (2018) Post subject: TEMPLE MOUNT METAL DETECTORS FOR JEWS ONLY? TEMPLE MOUNT METAL DETECTORS FOR JEWS ONLY? Supreme Court to hear petition against placing magnetometers at entrance to Temple Mount at gate where Jews and tourists enter. Supreme Court Chief Justice Esther Hayut, Vice President Hanan Meltzer, and Judge Neal Hendel will discuss tomorrow the petition of Otzma Yehudit party leaders Dr. Michael Ben-Ari, Baruch Marzel, Lehava Chairman Bentzi Gopstein, and Attorney Itamar Ben-Gvir in their petition against installing metal detectors (magnetometers) on the Temple Mount only at the gate used by Jews and tourists. Muslims had refused to enter the site and prayed in the streets outside for more than a week after Israel installed new security measures after a terrorist attack on the compound in which two Druze Border Police officers were murdered. 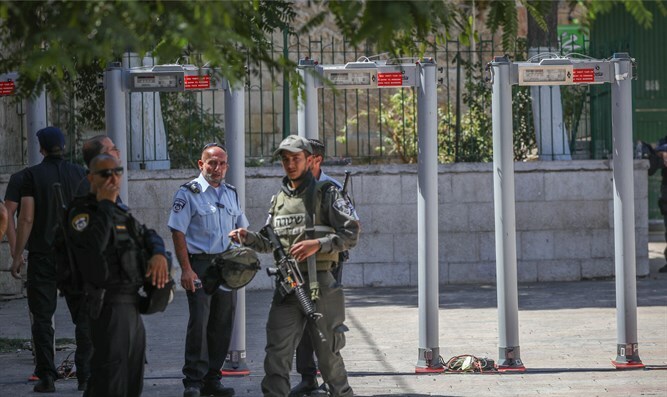 Following riots and threats, the Political Security Cabinet decided to remove metal detectors from all gates through which Muslims enter the Temple Mount, leaving a metal detector at one gate, the Mugrabi Gate (Hallel Gate) through which Jews and tourists enter the compound. The petition, submitted by Adv. Itamar Ben-Gvir, claims the decision was a discriminatory decision by the cabinet that was adopted on the basis of racism. Petitioners claim this is the most severe form of discrimination, and that if there was any reason to distinguish between Muslims and Jews ascending the Mount, one would have expected metal detectors to remain at gates serving Muslims. The petitioners argue this is a constitutional violation that contradicts the statute of limitations, and also contravenes the Prohibition of Discrimination in Entry to Public Places Law. Senior attorney for the Supreme Court in the State Attorney's Office Attorney Yuval Rotman said in response that "This is a decision of the political echelon, which is being carried out at the core of the Executive's authority, and it stems from security considerations, therefore it is inappropriate for the Supreme Court to intervene." Otzma Yehudit leaders say in response that "if the case were the opposite, there is no doubt that the Supreme Court would not allow it to happen. We are filled with hope that the Court will preserve Jew's rights and counter discrimination, inequity, and racism." Posted: Mon 19 Nov - 02:29 (2018) Post subject: ORWELLIAN! TRIALS FOR AI LIE-DETECTOR BORDER GUARDS ARE UNDERWAY! ORWELLIAN! TRIALS FOR AI LIE-DETECTOR BORDER GUARDS ARE UNDERWAY!